For more than 20 years, the ADLER table has been standing for an excellent dining table model with high essential values. Now a new base has been added. 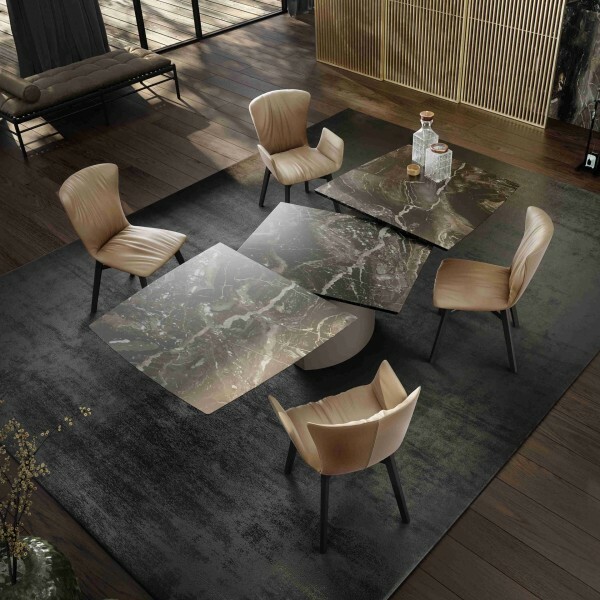 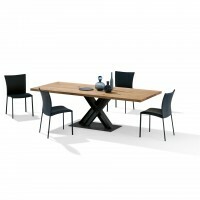 The center base in cross shape gives the table a dynamic appearance. On request this stainless steel base can be given a suitable finish in all colors. 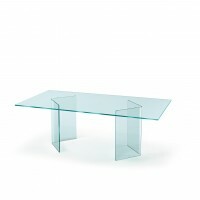 Due to the two oppositely mirrored rectangles which are tapering to- wards the table-top, the table top seems to float. 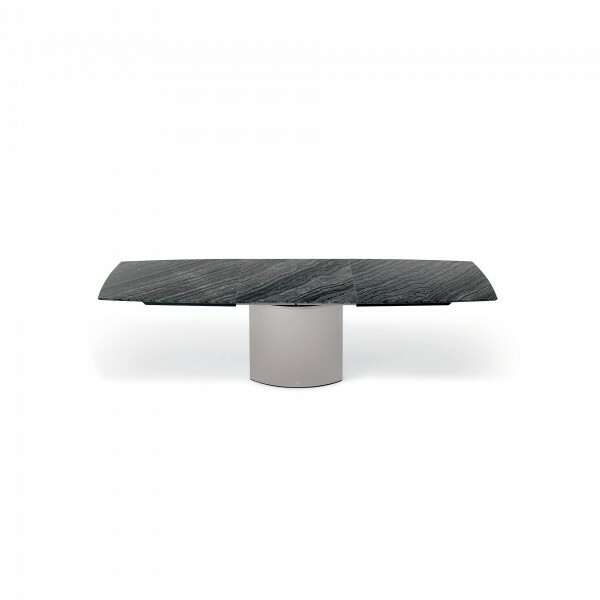 Table top: Wood or natural stone (over 180 types of stone available in stock to choose from). 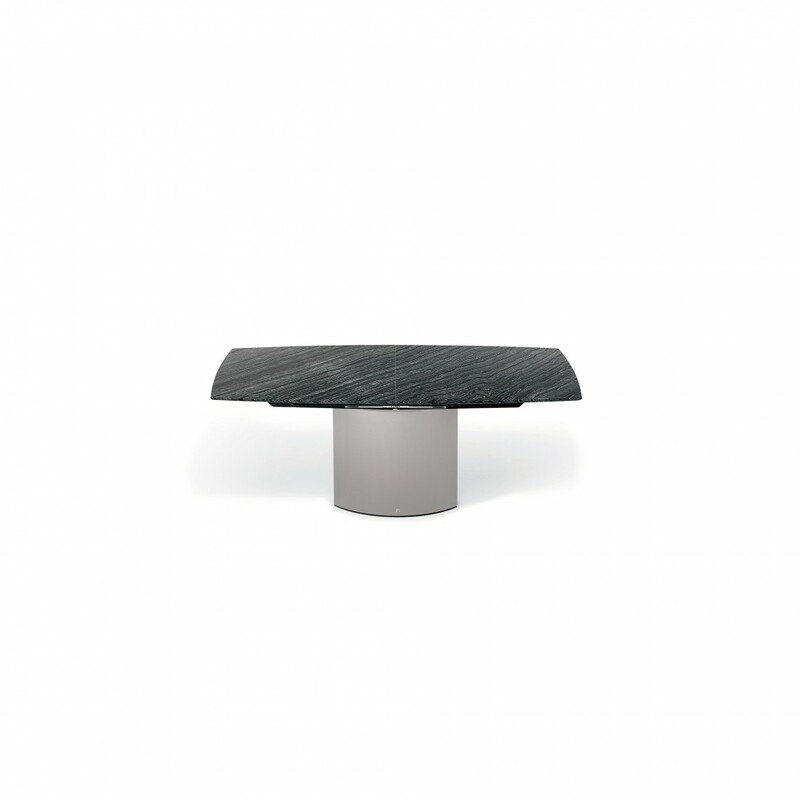 Base: stainless steel, brushed or lacquered with any color shade or covered in leather.